The Titans (Greek: Τιτάν – Ti-tan; plural: Τιτᾶνες – Ti-tânes), were a race of powerful deities that ruled during the legendary Golden Age. They are a race of godlike giants who were considered to be the personifications of the forces of nature. For me, the Titans are those who participant in Ultramarathons. 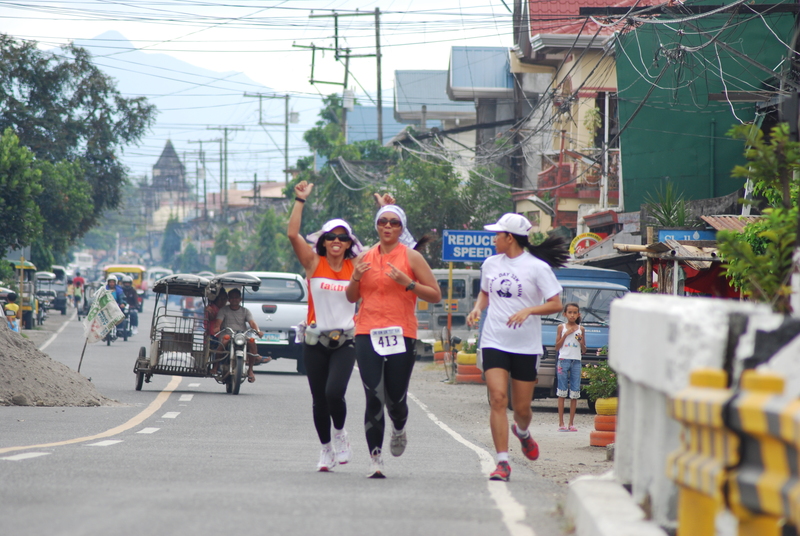 They have power, guts and faith in themselves to enable them to cross the finish line. Everything started with a text from Marga (aka margalicious). 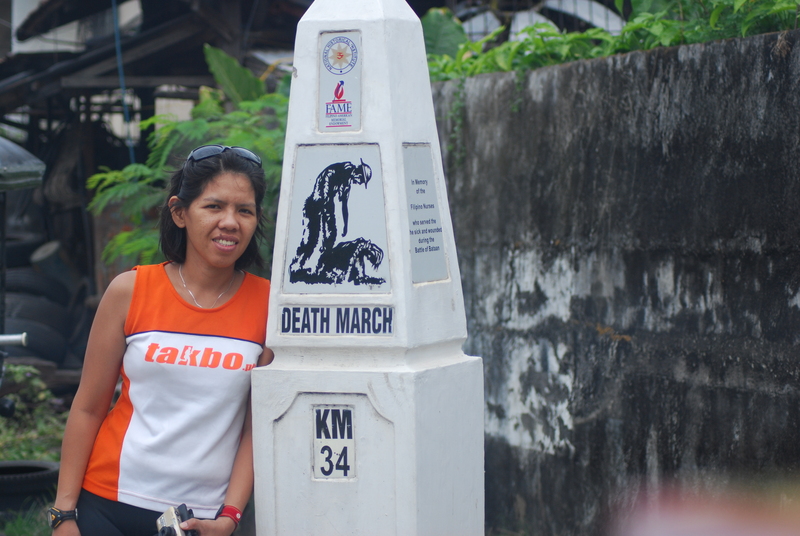 She invited me to be part of the support crew for Takbo.ph runners who will participate in the upcoming Bataan Death March 102k challenge. 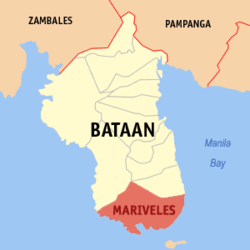 There will be a 50k test run from Mariveles, Bataan to somewhere out there. I was intrigued and I wanted to experienced how it was like to be part of a “moving” support team so I told her to count me in J I had my son’s driver prepare the van for a long drive. I felt guilty being away for a full day from the kids. Saturdays were meant for chilling with them at home or in the mall and cooking their fave lunch and a special dinner. However, there’s no way I could miss this opportunity to support my running family plus I knew I needed to get build mileage for my upcoming HM debut in Condura and there’s no better way to train than to be with the Titans. I decided to take Yno and Ben, my 2 older sons to watch a movie with Noy. We decided to catch Sherlock Holmes at 1050pm in Eastwood as Yno was already there with his friends. I prepared my stuff for the trip and proceeded to Eastwood. The film ended at 110am. I realized that if I wanted to be in the meeting place on time, I had to grab my bags and leave as soon as we got home. However, I felt that I needed to shower 1st as it was going to be a LONG day. I took a shower, grabbed my gym and camera bags and rushed out of the compound. I realized that I had forgotten the pillow I was suppose to bring, a jacket which I can use as a blanket, water for the support crew and the food I prepared for the runners L I only had 2 bags of chips! The drive to Bataan was uneventful. We were in and out of sleep. I don’t think anyone had a decent slumber. 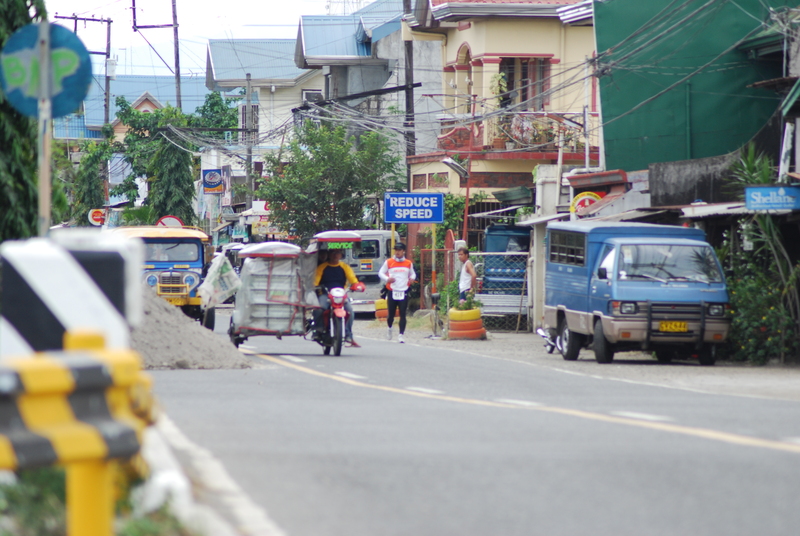 I was surprised to find that the roads to Bataan were quite developed. I realized that the last time I was there was during our 2004 company summer outing. 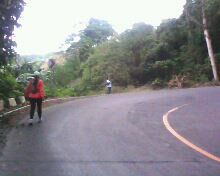 We passed a spiral downhill road going to Bataan PEZA Zone in Mariveles. 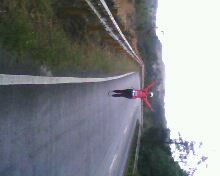 It reminded me of the road from Tagaytay Highlands to Midlands, steep and rolling. I was hoping the runners wouldn’t have to pass this road. Finally, we arrived! 🙂 We got there an hour ahead of the scheduled 6am assembly time. Nice! It was freezing that morning. I stayed inside the van as I didn’t have a jacket. Even if I doubled my shirt, it was still too cold. It was a good thing Abby had an extra jacket. Lesson of the day: even if you’re rushing, stop and asses whether you have everything you need before leaving the house. Runners started pouring in to join the BDM 50k test run. Sir Jovie (Baldrunner) arrived and started to orient the group. The support vehicles were to station themselves at km 7 and every 5kms after that. Carina was due to run 20k, strictly following her training program. Tere and I decided to run the 1st 7km taking this opportunity to gain mileage. The dreaded steep uphill climb will be part of the 1st 7km, dubbed by Baldrunner as the toughest part of the whole 50k. I thought to myself…”Great Gail, what have you gotten yourself into”? After a few photo opps, the event begins. Carina and Tere decided to follow their race pace while I walked/run with Abby. She decided to conserve her energy for the long haul. We chatted and enjoyed the scenery. I took pictures although lousy ones as the phone I brought along didn’t have a great camera. We were comparing ultramarathon runs with shopping. Girls can spend HOURS walking around the mall so why can’t they do the same during ultras? To think girls normally carry heavy bags when they shop and yet manage to stay in the mall for hours! I remembered shopping with my sister during the Christmas rush last year. We were in the mall for over 9 hours! I developed a major migraine after that. Noy almost had a heart attack when my bills came this month. Hahaha! Upon reaching km7, I told my driver to meet me in km10 instead. I wanted to make sure Abby had company before leaving her. It was a good thing we caught up with Carina and Tere and it was also a blessing that my driver drove to km12 instead of 10, a cool 2 extra kms 🙂 Upon reaching km12, I got my pair of shades, lent it to Abby and bid her, Carina and Tere adieu. I needed to switch places with Marga as the lead vehicle. 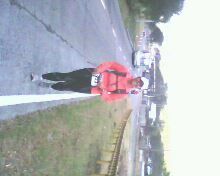 I proceeded to km 17 to provide support to lead runners. I passed by Ka Totoy, Doc T, Rod, Wilnar but none of them seemed to need anything. We then proceeded to km 22. However, we didn’t notice the km22 marker so we accidentally stopped at km 23 instead. I hanged out with the BR and his wife while waiting for the other runners. That was when I got a call from Marga. She said that Dhenz needed our help. He was in km 22. 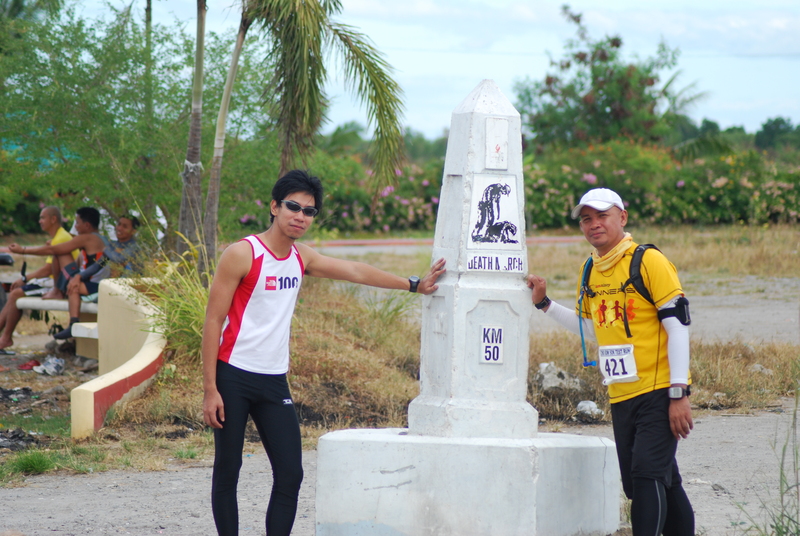 We backtracked a bit until we got to Petron where the km 22 marker was. Puzzled that I couldn’t see Dhenz anywhere, I decided to call him. He said that his Garmin was saying he was at km 23, which was odd. And that was when I concluded that the km markers were actually wrong! We drove towards kms 21 and that was when we found him. The markers were off my 2kms. Yikes! Dhenz was pretty ok. He just needed his refill of water. We parked somewhere near the km27 marker. The view and ambiance around us in km27 reminded me so much of provincial life. There was a farmer tending to his carabao, the sound of people enjoying Saturday midday by indulging in karaoke, the smell of fried fish, people taking a bath outside their homes in their “daster” and “pambahay” clothes (house clothes). We enjoyed the cool breeze and the fact that the sun fortunately decided to hide behind forming clouds. We turned off our engine and listened to some BEP’s I’ve Got a Feeling and Meet Me Halfway plus other hiphop and R&B tunes. By the time my iPod played Patron Tequila, we all fell asleep. About 30 mins or so, DocT arrives to get his supplies. We again took a good 20mins nap. I realized that we’ve been in this spot for more than an hour already. I was worried that I haven’t seen Abby yet. Ultra Abby was not this slow. I had a feeling that she passed us already. This was confirmed when I saw Coach Roel with one of his students. They were way behind Abby. We had to proceed to the next stop km30. 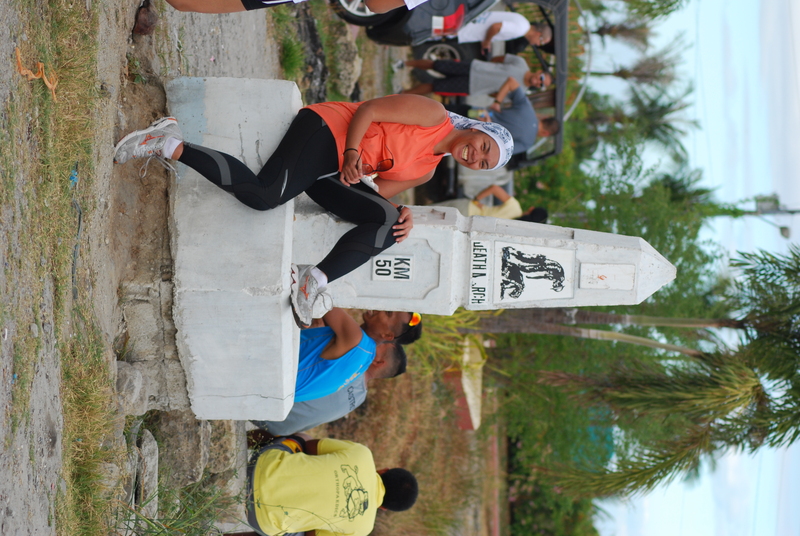 Upon reaching km30, we finally saw Abby, she told us she was fine and to proceed to km 34. I went ahead to the finish line with our support van to take pictures. I was so proud of the finishers who were already there and who were slowly arriving. Even a local ice cream vendor was there to cheer on the runners 🙂 I made sure I used a telephoto lens so I can a photo of the finishers from afar. Here comes Abby! Abby was flanked by her posse Tere and Carina. Tere backtracked to meet Carina and Abby. We ended at around 3pm. Everybody was famished! We had taken no breakfast and lunch. We had to survive with whatever chips I brought along. Thankfully, there was a Jollibee nearby. After a hearty mid-afternoon lunch, we headed back to Manila. To all the ultra runners out there, you guys are CRAZY and AMAZING!…. I am in awe…You guys are truly the TITANS! It was awesome! Definitely awesome…you guys are CRAZY to run a 102k…hahaha! You are running the BDM right? which one? yung road kill along the uphill climb or yung sa km40 marker? hahaha! both were gross and i only take pics of good looking boys and gals…naks! 🙂 hehe! Aren’t they amazing? Simply inspirational? Everybody was worried about Abby. I kept saying,”Si Abby? Don’t worry about her. She’s made for this and she has trained for this.” Naks! True enough, she outran plenty a-runner that day and she looked none the worse when she got to the finish line. A-mazing! I have plenty kwento about our van, but a-las I have little time and I want to do it justice. Suffice it to say, Angel was a Titan too in driving that van back and forth, making sure we got to everyone. He was spotting a particular runner, but hey, for driving the Titans, pagbigyan ko na. lol. Athan. Athan. Athan. For those who have not heard his training schedule, please ask him. Please. Please. Please! Good luck all. Keep safe! oh my! i forgot driver eric a titan too! LOL! 🙂 classic si athan…but what a spirit! would you believe he still joined team CB the next day! I appreciate what you did. I hope to be of your service in one of your future races! We can’t thank you enough, Gail. What you sacrificed to support is the true Titanic. We appreciate every kind gesture. We hope to give-back the same passion for supporting fellow family runner. Thank you so much, and to the rest of the support crew. wow. . nice blog! . .
it was nice experience too. . having you guys as FULL SUPPORT. . . very inspiring. . .
You were great DocT! You can still smile after that ordeal ha. Kung ako yon, diretso na ako sa van…bagsak! Haha! 🙂 Nice one! Gail salamat sa support ha! God bless u and ur family!